Recently in schools, there has been a trend focused on re-developing and re-including inquiry-based practices of teaching and learning into the classroom. Students and Teachers in these practices sprout ideas and build knowledge through networks of common curricular themes and topics, led by their desire to uncover what in that context make sense and means the most to them. In short: it is a fantastic way to learn about what one feels is important to learn about, surrounding a specific focus, with or without others. This inquiry approach opens doors toward possibilities of experimentation and exploration as learning leaps out of the textbook into practical applications that make sense. Students are solving real problems in their communities, are exploring avenues of learning they may have not considered and are making connections along the way. The teaching and learning becomes less about content and more about process – whether that be creating a digital artifact, developing a physical prototype, organizing an initiative or event, and the like. 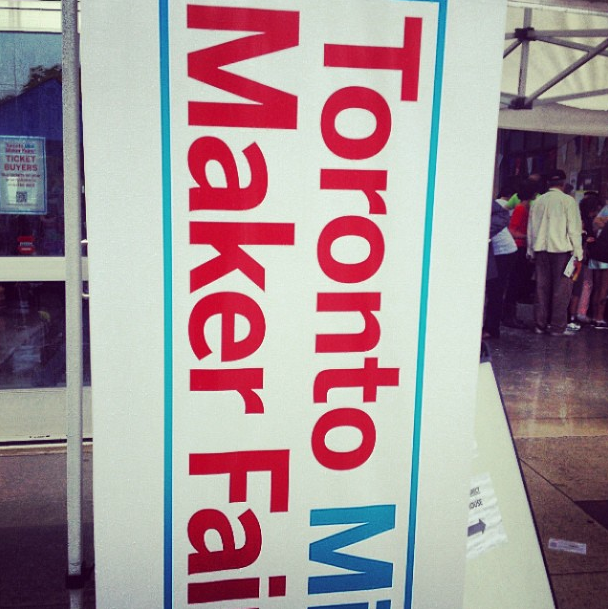 After attending the 2013 Toronto Mini Maker Faire, I realized a strong connection that I had yet to make. With students in our schools (thinking of my own specifically) engaged in the inquiry process, why not prop that open door even further to let in the Maker Movement. While at the faire, I was in awe as I saw so many people engaged in so many projects of differing foci, reasoning and complexity – but, what struck me more was the involvement of kids (of many ages) who were also engaged in this process. 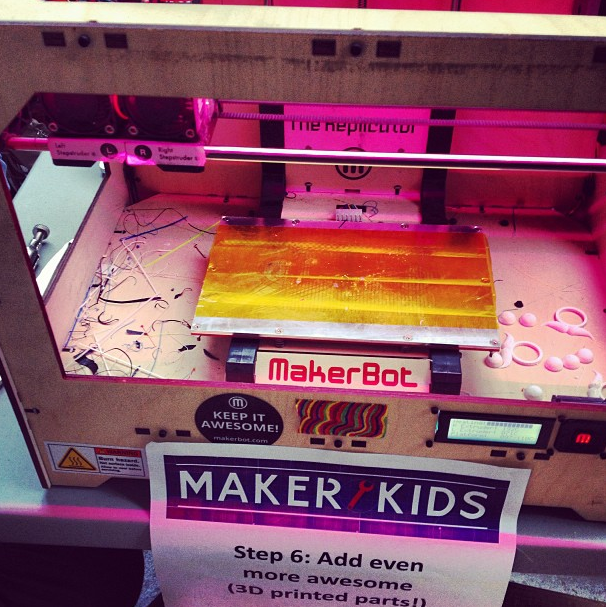 Thinking of what we are asking our students to take on in the classroom, it made sense to see kids (specifically a part of the Maker Kids organization) eager to build with their hands, program 3D printers and solder pieces together. It makes sense to kids because its fun, and just like the inquiry process engages our students through their own lens/approach, the Maker Movement allows their creativity to flow as they learn and express themselves in truly authentic ways. I’m thinking of taking a lot of these ideas back to the classroom and will be asking students to build, develop and construct as they inquire. As we connect with students in similar processes, let’s ask them to #Make as it may make a difference.